For the first Bethesda Showcase, they did pretty damn well and if Day 0 was any indication, they did the best. Bethesda really proved to us at Evolve that they can roll with the biggest developers and feature the best games. Obviously Fallout 4 was the big showcase but what surprised us the most was Doom. Doom really isn’t a well known game anymore. It was the biggest game ever when it was released and it change FPS for good after its initial release but it really has fallen off the map, until now. The Doom gameplay looked incredible and wonderful and every other good adjective to describe it. From the gore to the overall just incredible violence, Doom is back and with a vengeance. Moving on from Doom, Bethesda actually took a step back with Battlecry. Battlecry has been a game in development for about a year now and it just doesn’t look interesting. From Battlecry we got Dishonored 2. The first game was so amazing that we think Dishonored 2 honestly might win game of the year next year. Dishonored 2 seems to take off right from where Dishonored left and throw us into a new world with the same issues. This time, with two protagonist and one of them is female which surely adds some new gameplay mechanics. Dishonored 2 looked fun and interesting and we are excited to see the future for it. Now we get to the main event, Fallout 4. There isn’t much more to be said about this incredible looking game. There is everything you could ever want here in Fallout 4 including a working Pip-Boy! The Fallout 4: Pip-Boy Edition comes with a real working version of the arm mounted device that is powered by an app on your phone. 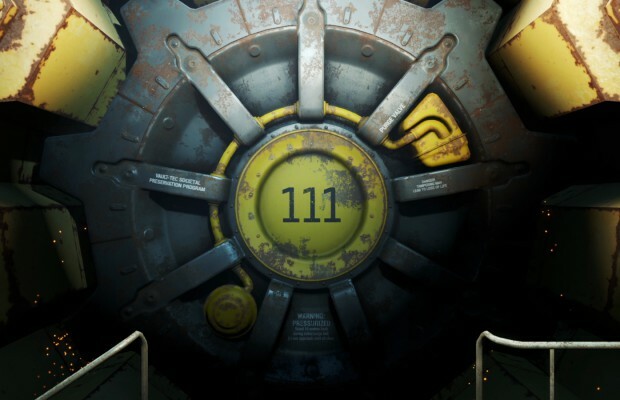 Really the best part of the Fallout 4 reveal though was the crafting and customization. You can male or female and customize your face however you want to. To go along with that, there is deep weapon customization and deep environment customization to make your own bases. These options truly make a great RPG and we at Evolve think Fallout 4 will be the easy runaway game of the year. Bethesda also showed us a mobile game called Fallout Shelter and we’ve played it, it’s incredible. Go grab it on the app store now.